While this adoption application is not a requirement by all of the placing homes listed on this site, it is helpful. Most rescue organizations are going to ask for one to be filled out if you are interested in a foster dog they have. It is provided as a courtesy to aid and help the private home/foster home and the prospective adopters. Please fill out and submit this form and we will get back to you as soon as possible. Please be clear and detailed in your answers. NOTE: required fields are marked with an "*". If you rent, do you have landlords permission to have a dog? Who else lives in your home and what are their names, ages, and relation to you? Are you in the military or subject to transfer? If there is no fencing, how will you handle the dog's exercise and potty needs? Why are you interested in adopting this breed? What traits are you looking for in a dog? How many adults are in this household? How many dogs have you owned in the past 5 years? How much time will the dog spend alone? Where will he/she be? Where will the dog sleep? Where will he/she be during the day? While you are home? While you are away? What activities would you like to do with your dog? What prime reasons would you give up, or get rid of a dog? Do you have any questions or concerns that we might be able to answer? By sending this electronically, I acknowledge that I have completely read this questionnaire and comprehend it fully and that all of the information I have given is true and complete and that the information will be verified. I understand that applying does not ensure approval and that untruthful answers or failure to comply with the requirements of this application can result in the forfeiture of any AUSSIE RESCUE SOCAL dog adopted by me. Should an unneutered or unspayed dog be placed with me, I agree to have it neutered or spayed by such date agreed upon by me and an Aussie Rescue SoCal representative. At that time, I will forward evidence to Aussie Rescue SoCal that such procedure has been completed. I further understand and agree that Aussie Rescue SoCal uses my personal information in order to process my application, including distribution of that information as needed to volunteers of Aussie Rescue SoCal by email communication. Aussie Rescue SoCal makes reasonable commercial efforts to secure my personal information from unauthorized access, use or disclosure. Unfortunately, however, no data transmission over the Internet is 100% secure. While Aussie Rescue SoCal strives to protect my information, Aussie Rescue SoCal cannot ensure or warrant the security of such information. This dog will reside in my home as a pet. I will provide it with adequate food, water, shelter, training, affection, and medical care. 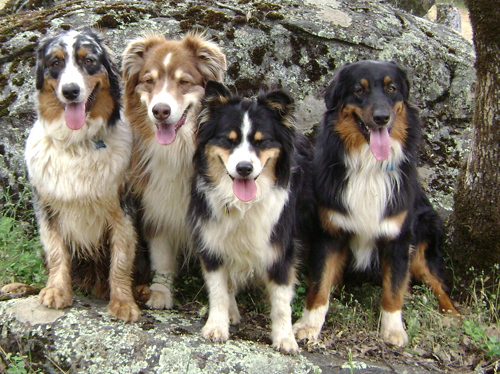 I understand that Aussie Rescue SoCal is a referral service and is not responsible for the accuracy of information received about the habits, temperament, or physical condition of dogs available for adoption. I understand that it is my responsibility to evaluate the dog for myself before agreeing to adopt it. I am in full agreement with these terms of adoption. Aussie Rescue SoCal shall not be liable for, and is hereby relieved from, all liability for any damage, expenses, causes of action, fines, suits, demands, judgments or claims of any nature whatsoever arising from or by reason of any damage to property or injury to any persons caused in whole or in part by the dog placed in your home. I hereby accept and assume such liability and agree to protect, indemnify and hold Aussie Rescue SoCal harmless from and against all of the aforesaid. Submitting this form constitutes your permission for us to check references. WE RESERVE THE RIGHT, IN OUR SOLE DISCRETION, TO REFUSE ANY APPLICANT FOR ANY REASON WHATSOEVER. Do you agree the above is true and correct to the best of your knowledge?